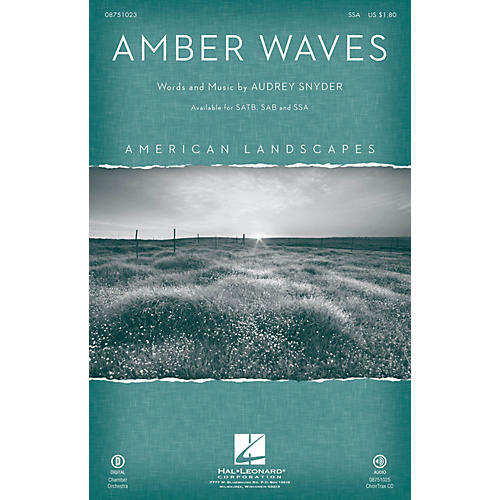 The grandeur and expansiveness of the Heartland is explored in this choral tone poem that celebrates the beauty of the American landscape. An ideal concert and festival work, it may be performed by voices and piano or with the optional orchestration. Available separately: SATB, SAB, SSA, ChoirTrax CD. Chamber Orchestra score and parts available as a digital download (fl 1-2, ob, tpt 1-2, hn, tbn, bar, vn 1-2, va, vc, db). Duration: ca. 3:50.